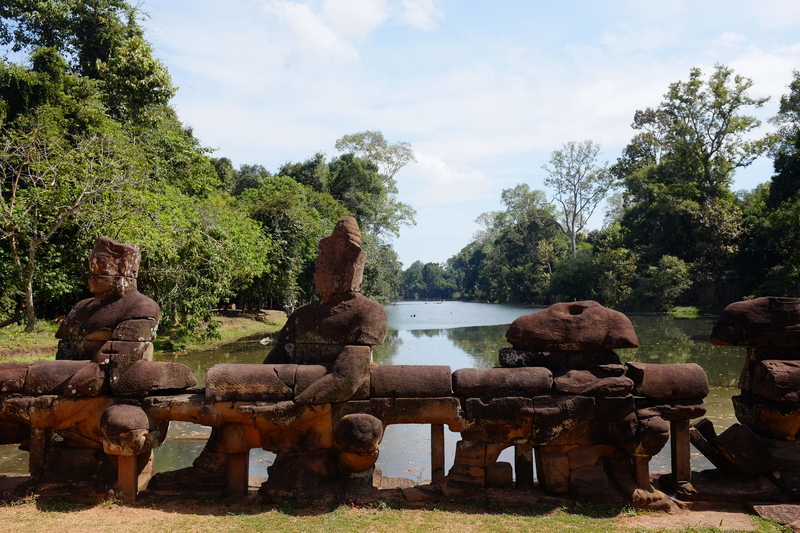 Since I already previously did an in-depth review of all the places I visited in Siem Reap during the first trip, I thought that I ought to do a more condensed post focusing on how we spent our four days in Siem Reap, which could also be used as an itinerary & travel guide. 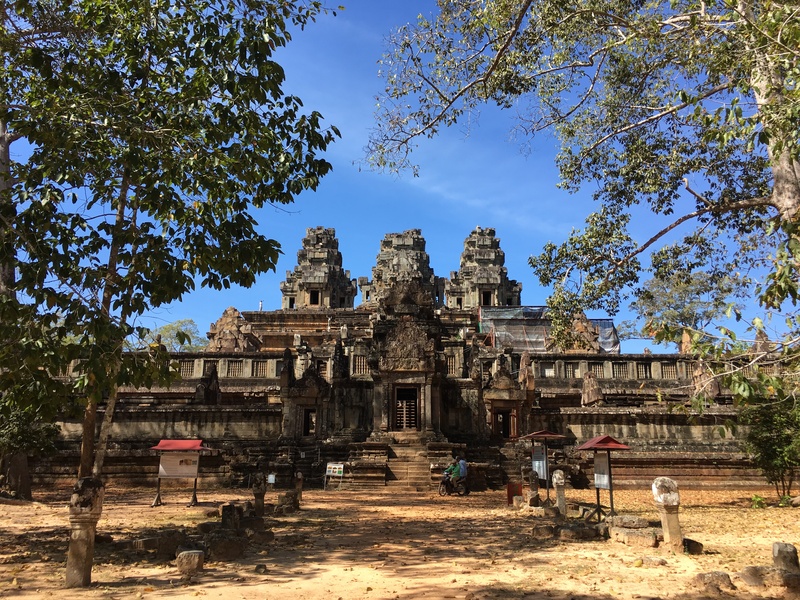 This up and coming destination has several B&Bs, hotels, and hostels to choose from, but as mentioned in 8 Tips for Visiting Siem Reap, Cambodia, it’s highly important to make sure you choose your accommodation to be within walking distance from Pub Street to make your travel home from a night of dinner and drinks as easy as possible. Central Suite Residence not only gives you the best location as it is within a few meters of the entrance to Pub Street, but it has everything every traveler needs from complete room & bath amenities, a pool with a swim-up bar, complimentary daily breakfast & roundtrip airport transfers in an air-conditioned van, great discounts at the spa, and fantastic service – and all this at an incredibly reasonably price! 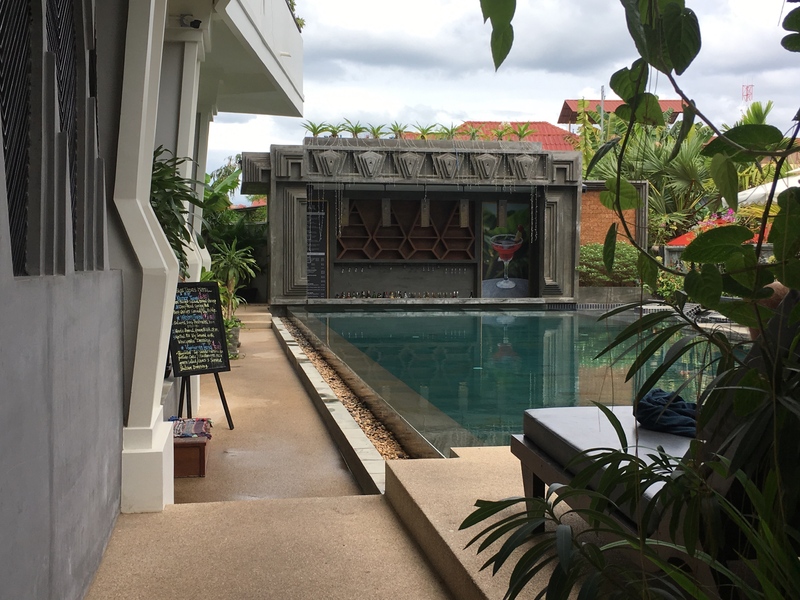 Look no further and book Central Suite Residence as your home in Siem Reap! 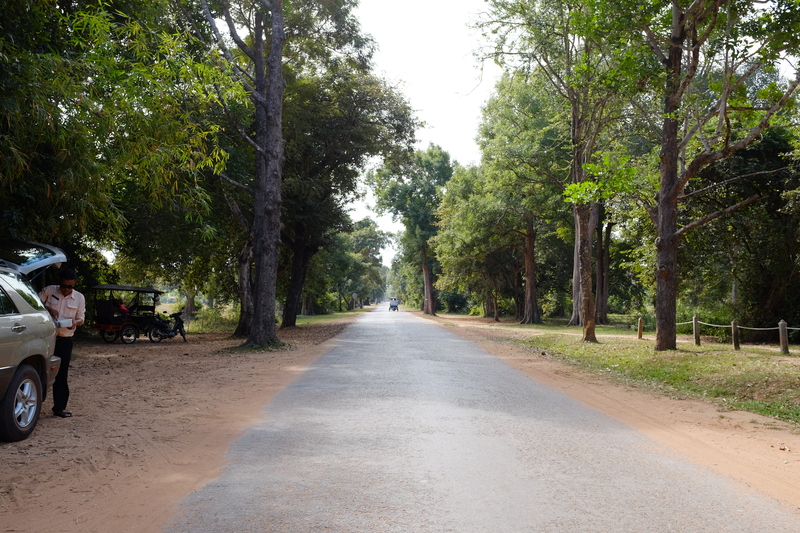 Upon arriving at around 10:30pm, getting picked up by the hotel van, and dropping our things in our hotel room, we sped off to Pub Street – one of the many things I missed about Cambodia. And there it was, ready to welcome me back with an even wider array of restaurants to choose from. 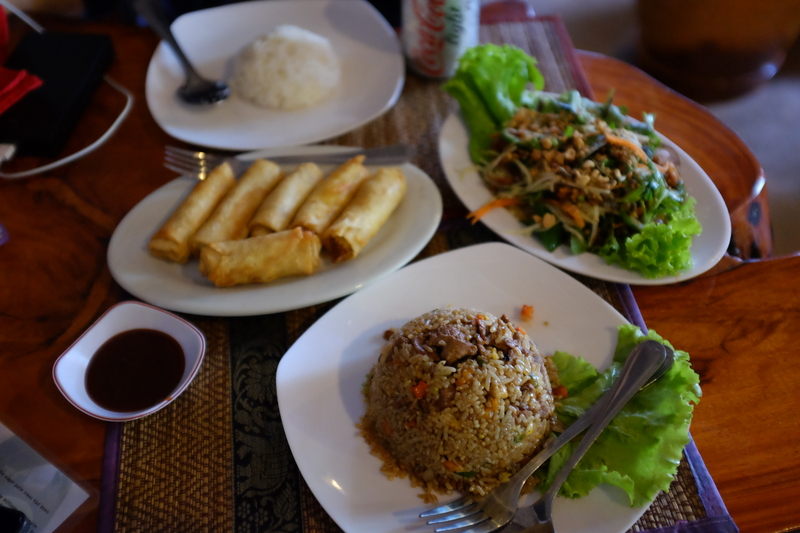 For our first night in Siem Reap, we decided to try Khmer Family Restaurant, which has great prices, great food, and a great ambiance. 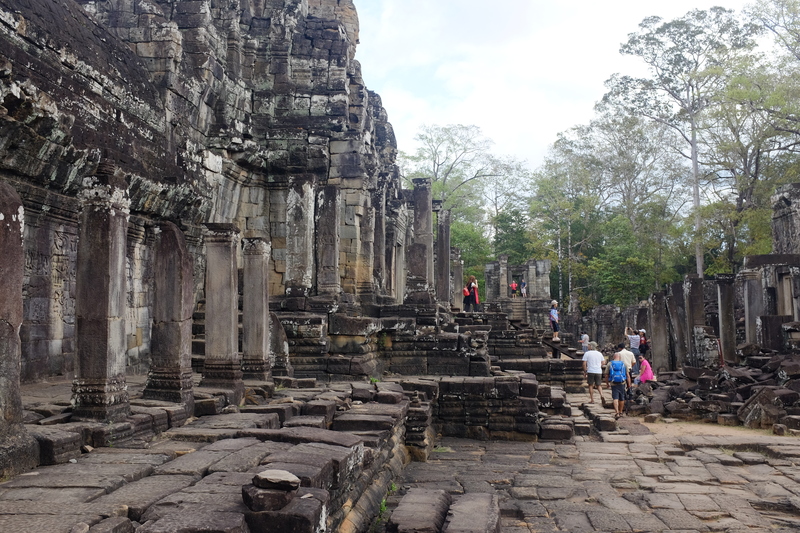 The day started later than expected thanks to how tired we were – on the night we flew to Siem Reap, we had just arrived from Taiwan earlier that day and just had several hours to unpack, repack and fly out once again; here’s where I’ll start raving about our fantastic tour guide, Veasna, who I already mentioned in my previous post, as he was kind enough to understand why we woke up at 8:10am when the agreed upon meet-up time in lobby was at 7:00am – can you imagine our embarrassment and how quickly I panicked upon waking up! He even convinced us to still have breakfast at the hotel despite being late and told us to take our time; but of course, given our embarrassment, we had breakfast as quick as we could so he wouldn’t have to wait any longer. 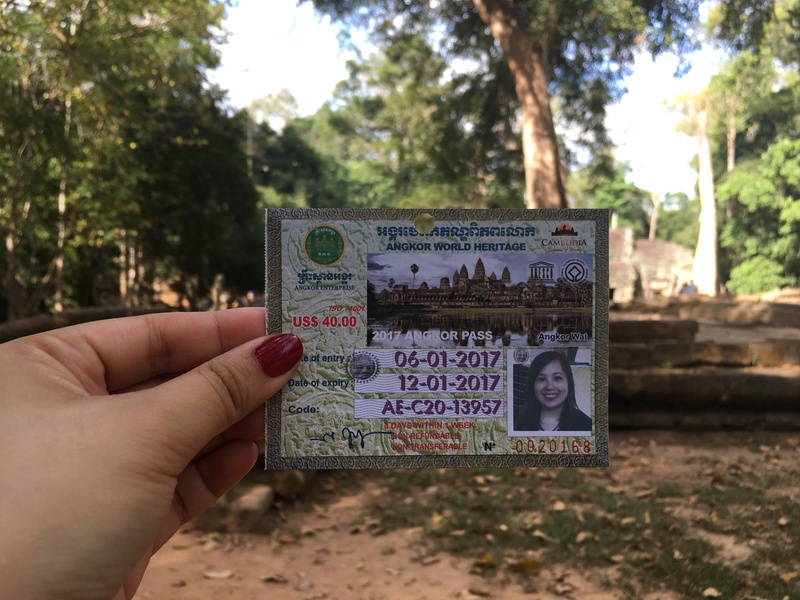 After finally getting past that crazy morning, we headed towards Angkor Wat, and purchased our three-day pass. 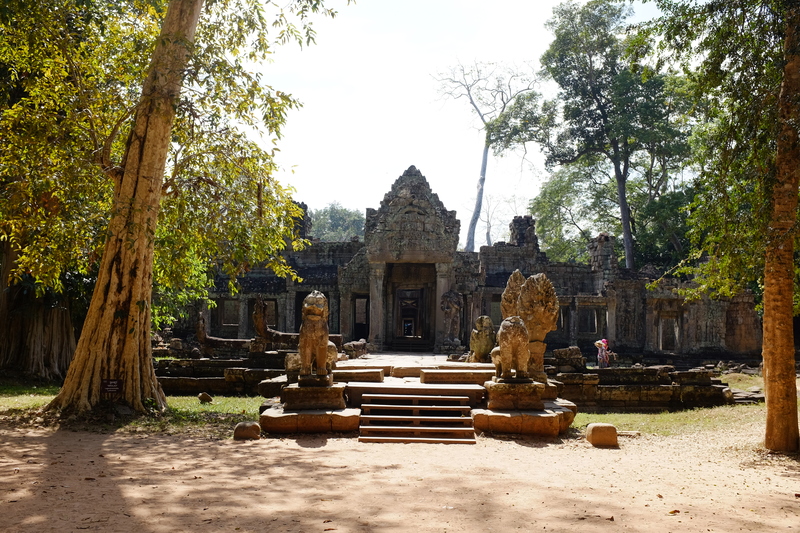 In my opinion, a one-week pass would be the best option, but if you’re on limited time like we were, do get the three-day pass to make the most out of your stay in Siem Reap. 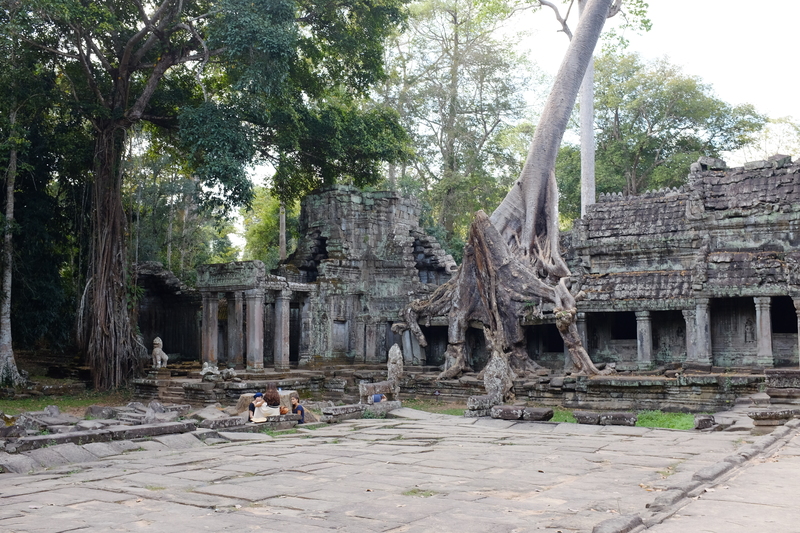 With a late start to the day, we headed towards the Angkor Wat Complex and started the day in the jungle temple also known as the Tomb Raider temple, which I also wrote about during my first trip: Angkor Wat & Ta Prohm. 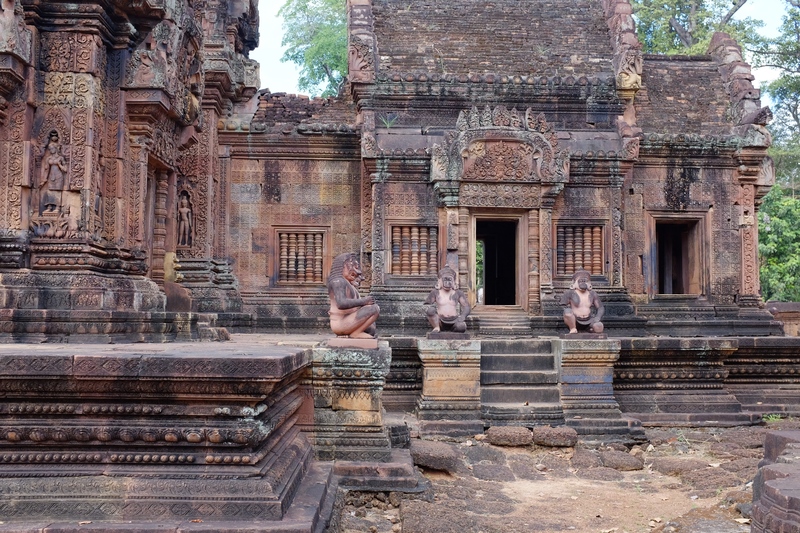 It’s highly important not to miss this attraction, as it’s widely known as the Cambodian temple where Angelina Jolie shot Lara Croft: Tomb Raider; more importantly, there is one thing you must watch out for – the sculptures of dinosaurs on the walls of the temples. 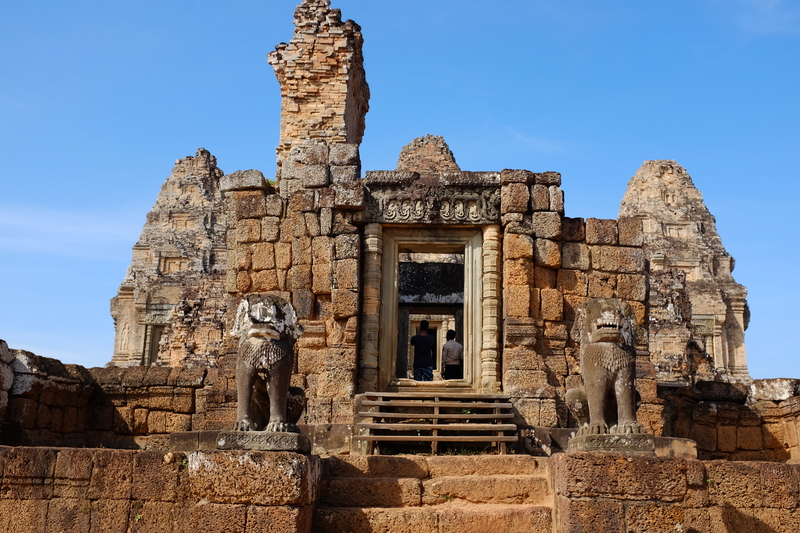 Our tour guide, Veasna, had mentioned the mysteries behind this as back when the temples were built in the ancient times, there was no evidence of dinosaurs back then, and the technologies that had the capacity to discover these details had yet to see the light of day. 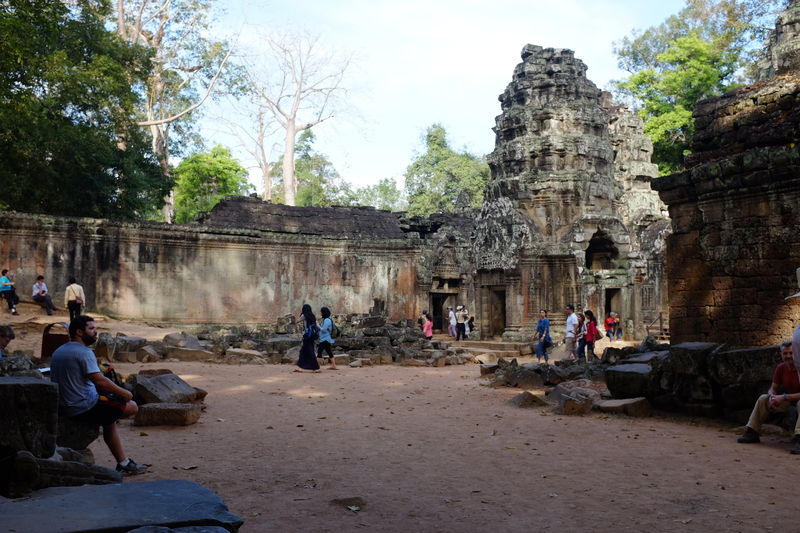 While I don’t have photos of this part of the temple from this trip, head on over to the end of this post Angkor Wat & Ta Prohm to see it firsthand. 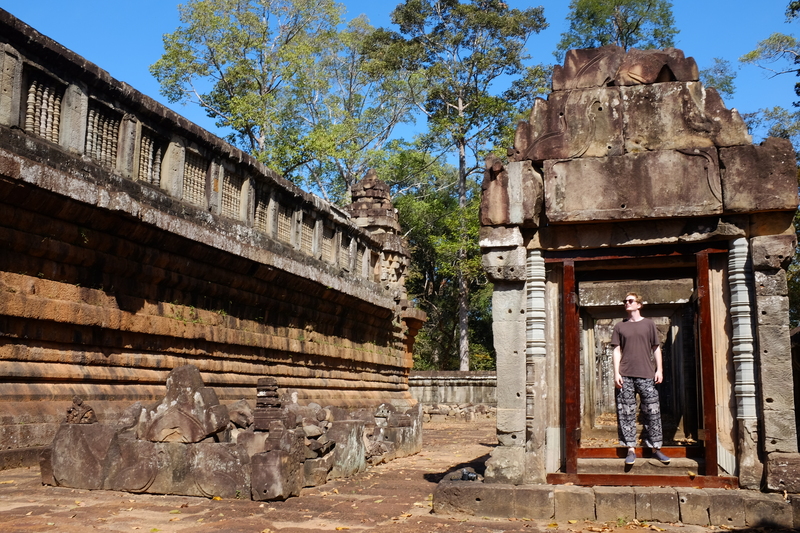 Next on the list was another temple I had visited before, but was surely worth returning to. 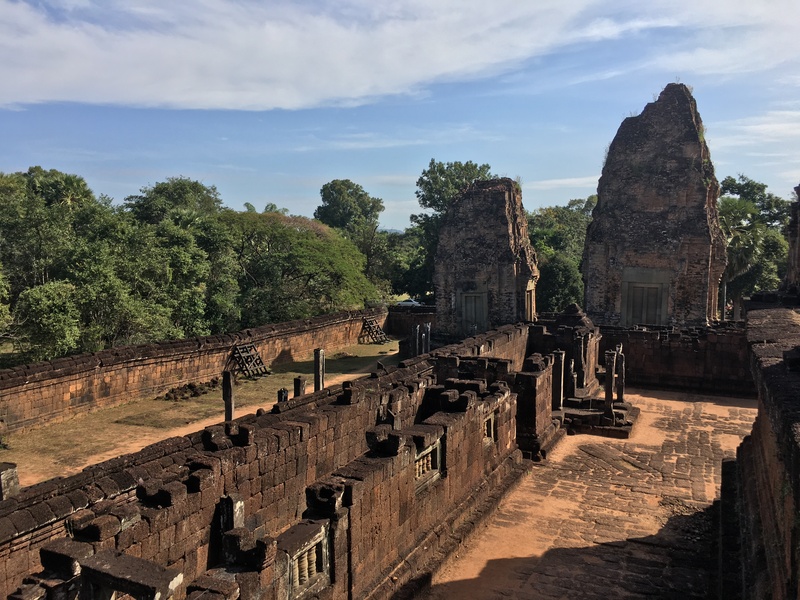 Pre Rup was built in 961-962 using sandstone as its prime element, making this Hindu temple mountain a beautiful sight to see. 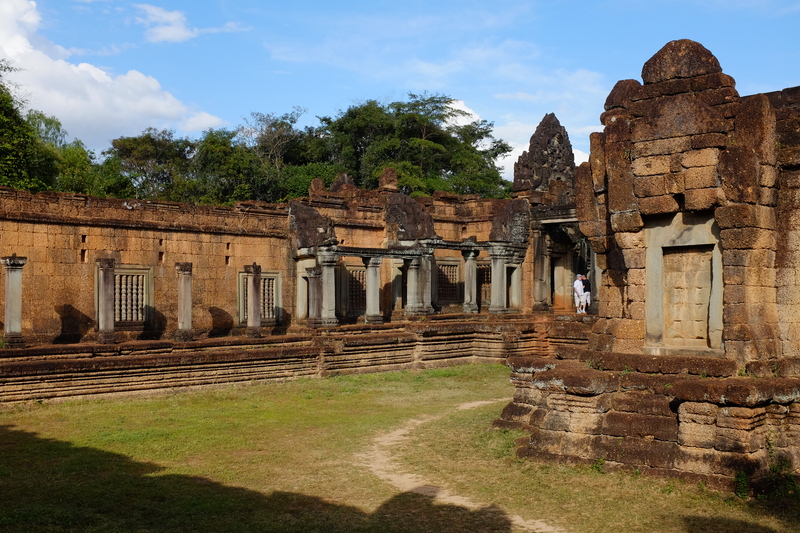 This 10th century temple built on the now dry East Baray reservoir is very similar to the Pre Rup temple, but still with its own character and charm. 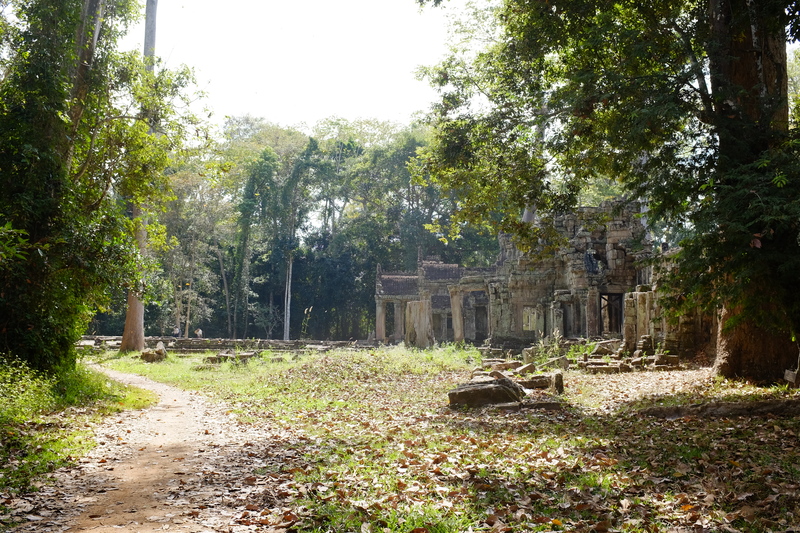 In the midst of the Angkor temple complex is the artificial island of Neak Poan that was first designed and built as an ancient hospital. 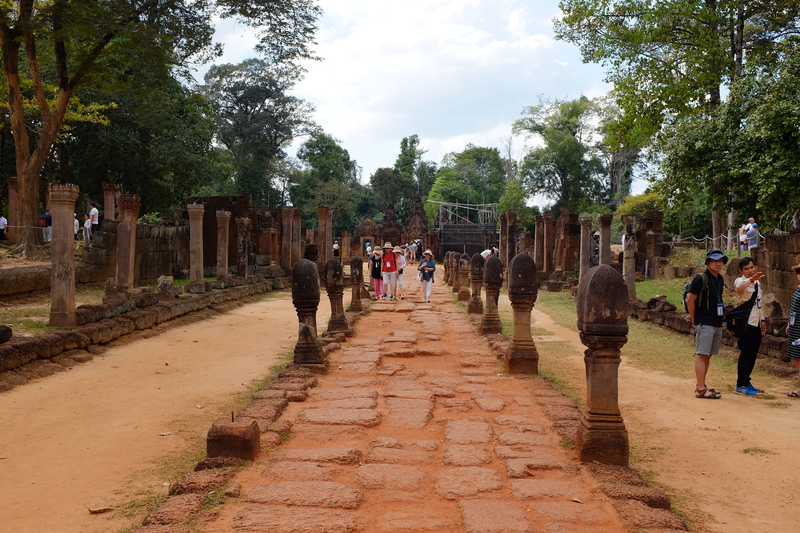 The walkway leading to Neak Poan is surrounded by a beautiful reservoir that takes you back in time. 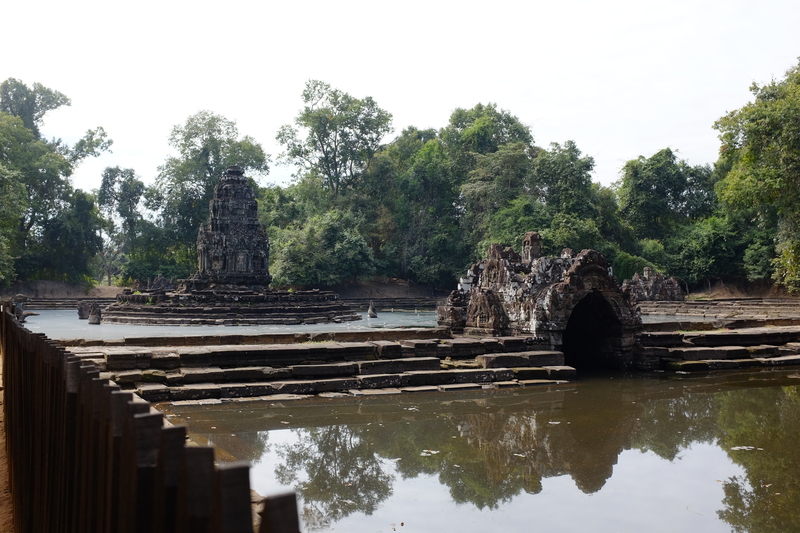 The pools in Neak Poan were believed to have special healing powers that would even out the elements and create balance, therefore, curing whoever bathes in the four pools representing Water, Earth, Wind, and Fire. 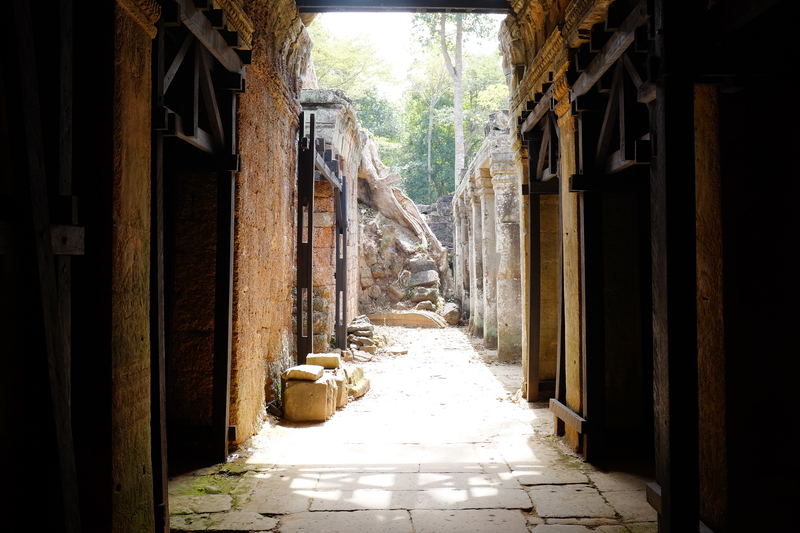 Definitely one of my favorite temples from this trip is Preah Kahn – one of the lesser known temples and one I would never had the honor of visiting had it not been for our wonderful tour guide Veasna. 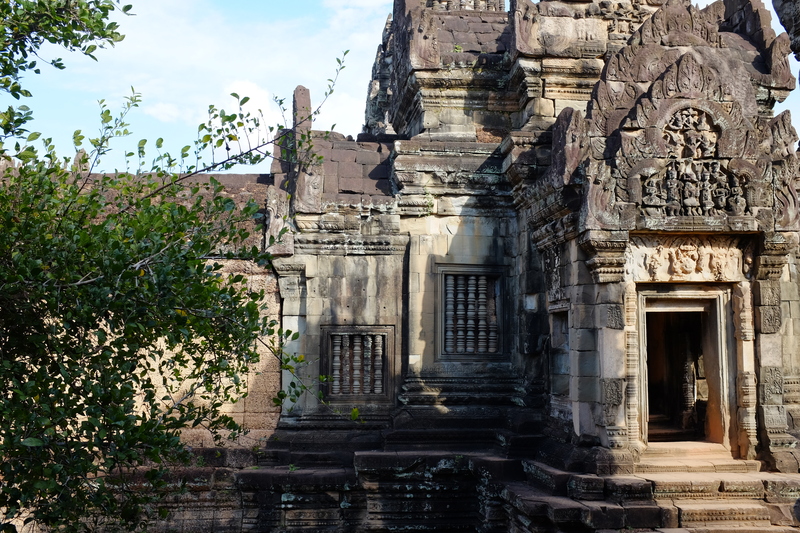 Instead of going on and on how this temple impressed me, I’ll let the photos do the talking. 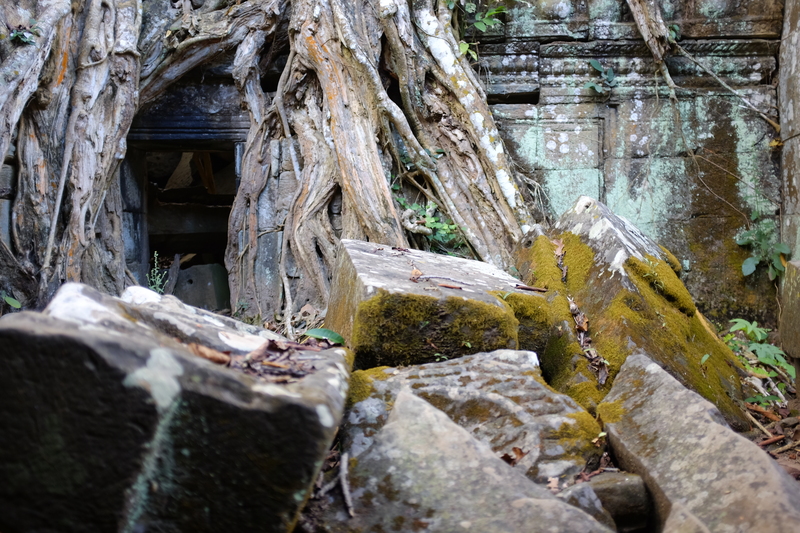 As we explored this temple, I couldn’t help but imagine the grandeur of what was through the ruins that now is. 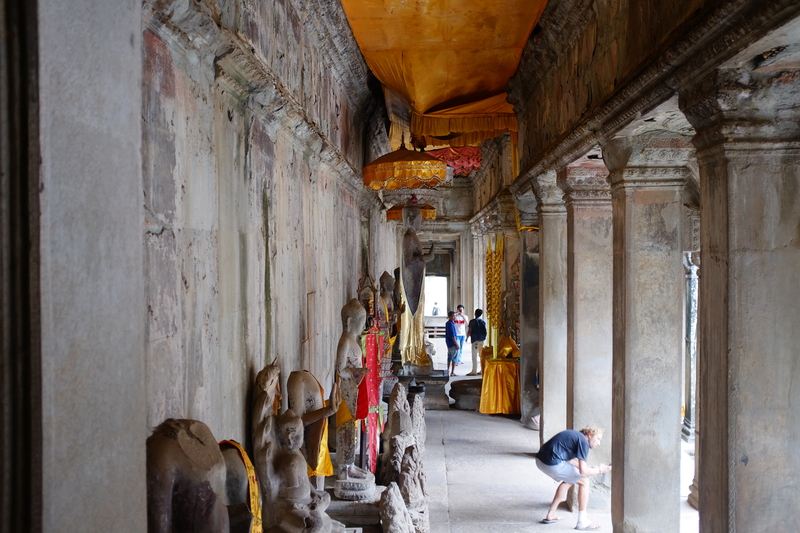 A quick lunch stop is on the itinerary. 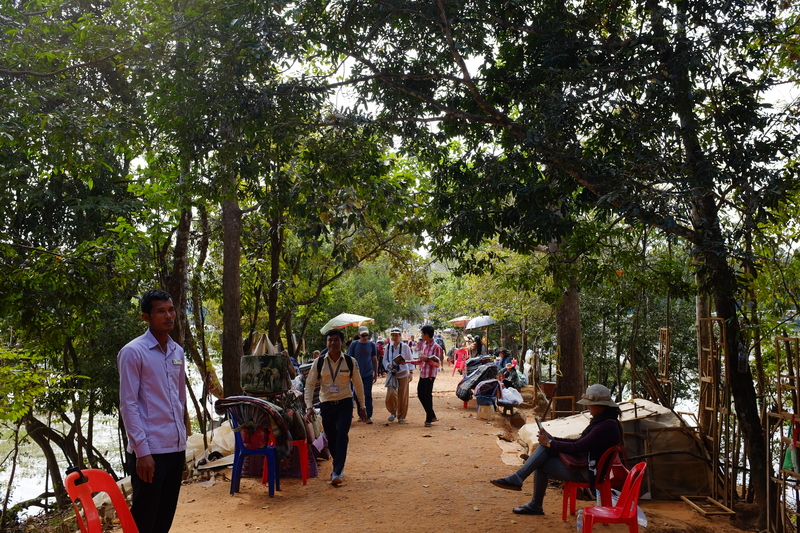 Though I forgot the name of the restaurant, rest assured that if Veasna recommends the restaurant, you’re in for a treat – as the food will always be good & the prices will always be reasonable – or even better, cheap. 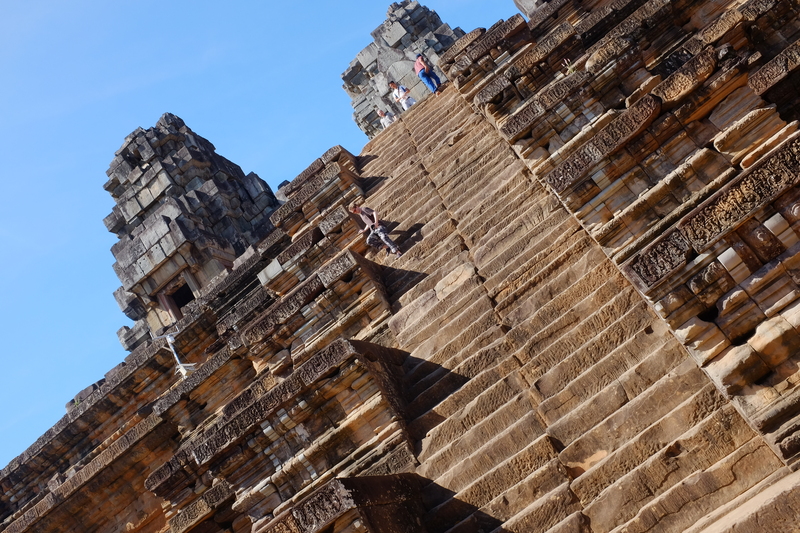 By this point, we were already truly in wonder of all the beauty that graced us, but our second to the last temple for the day had something very unique about it. 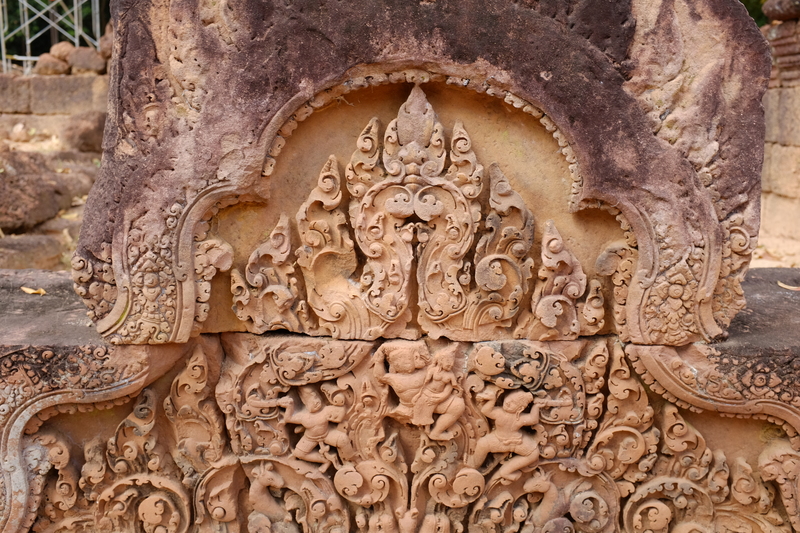 As mentioned in Angkor In Depth, Bantey Srei has the intricacies that are one of a kind. 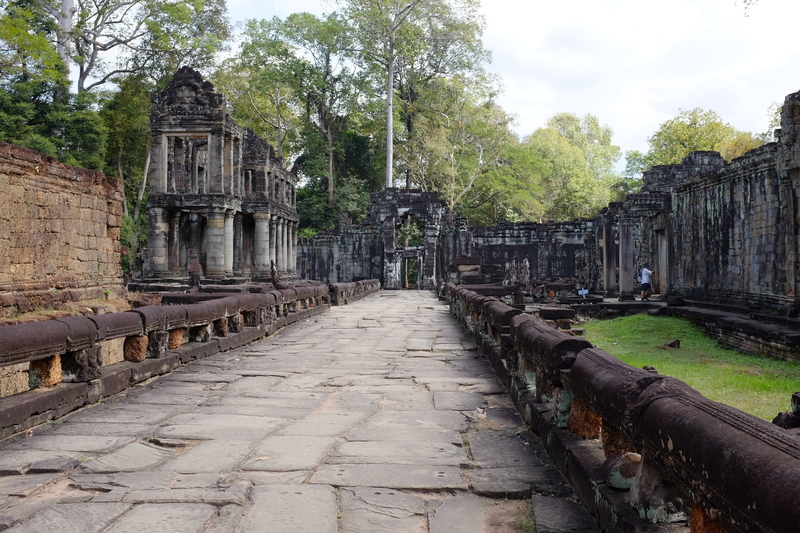 While it is one of the smaller temples in the complex, its particular design makes it no less, which is why it is a destination that must not be missed. 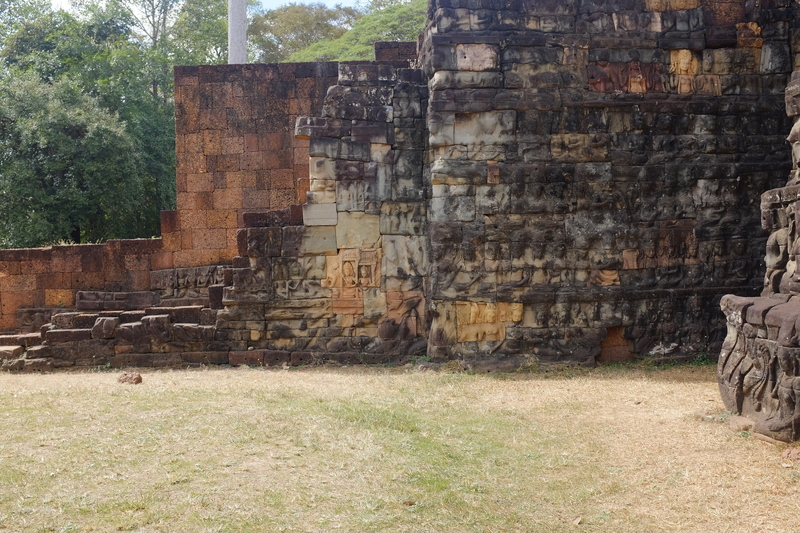 Our last temple for the day was Banteay Samre, dating back to the 12th century, and restored back in the 1930s to the 1940s. 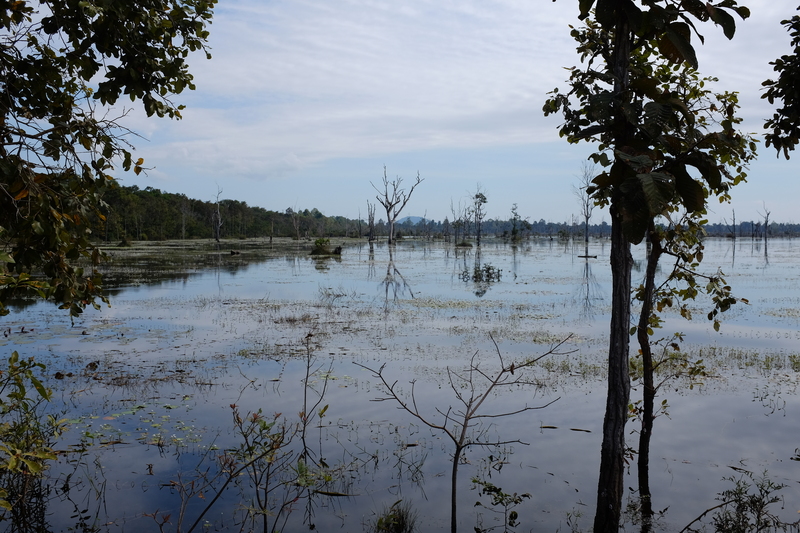 This is a great place to end the day tour, as there are barely any people around; and if the weather cooperates, it’s a great place to take photos of not only the landscape, but portraits as well. 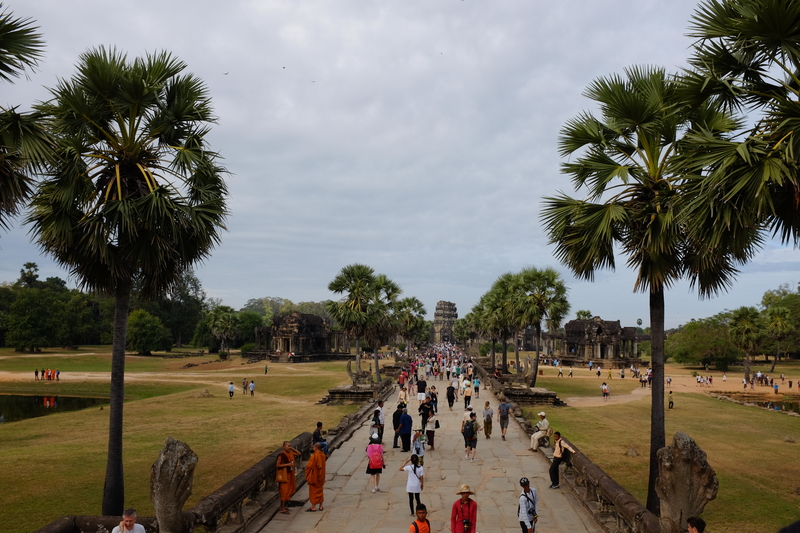 After a tiring day of exploring the temples of Angkor Wat, we headed back to the hotel and made the most out of our hotel spa & headed out to Pub Street – the best place to spend your nights in Siem Reap in, as we anticipated what the next day would bring. 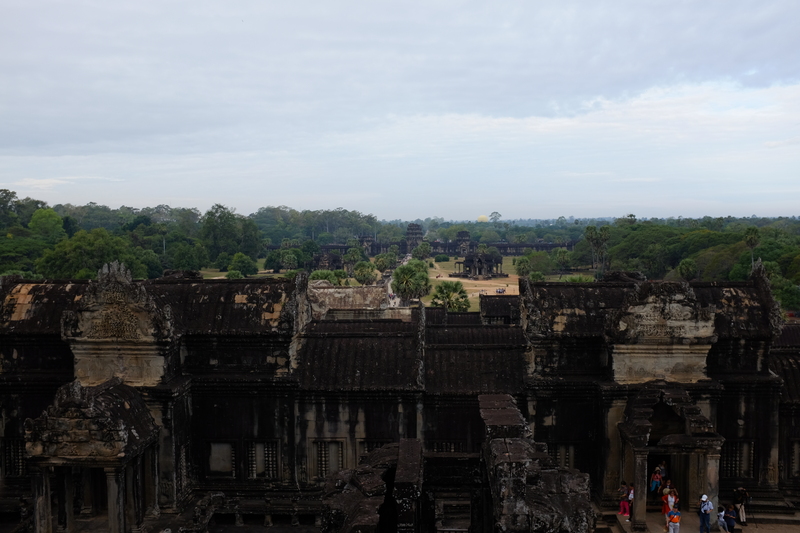 As understanding Veasna was the day before when we were terribly late for the meet-up time, our second full day exploring the temple complex of Angkor had to start early at 4:45AM – with no room for delays, as we wanted to see the sun rise over Angkor Wat. 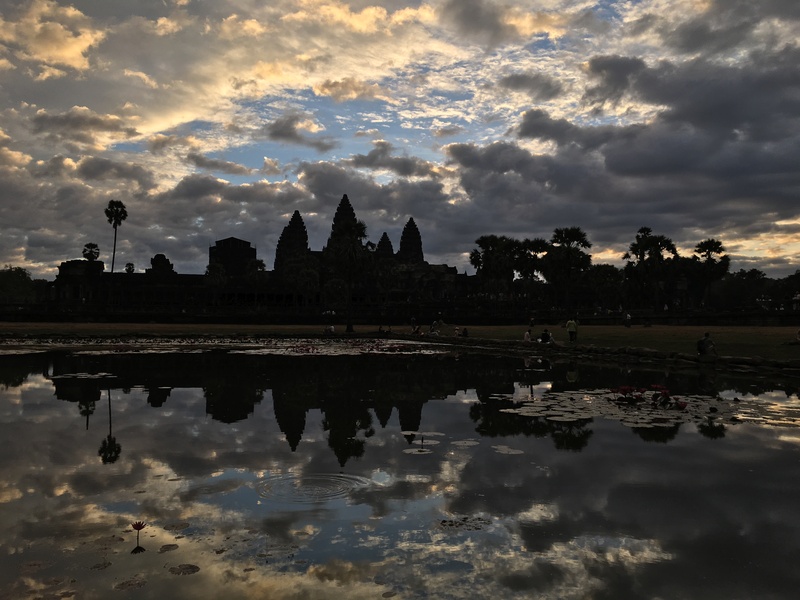 My first experience of seeing the sunrise in Angkor Wat was amazing as there were hues of purple and orange, as seen in photos I posted on Angkor Wat & Ta Prohm. 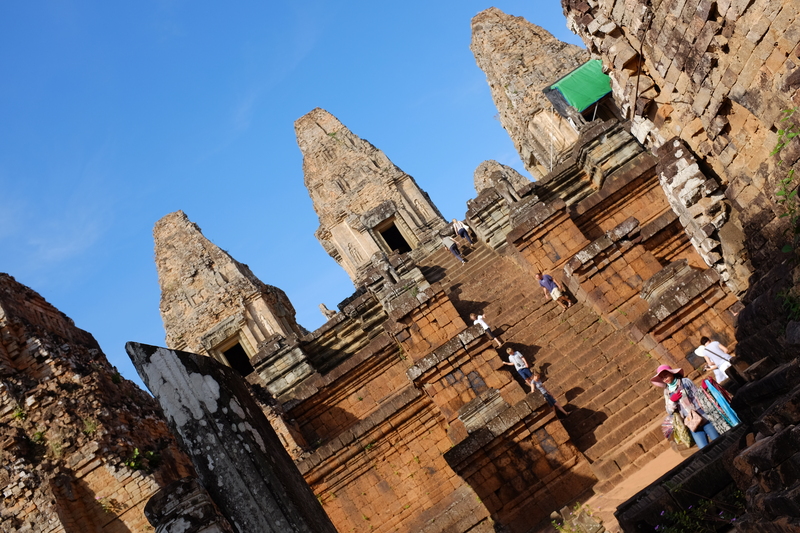 However, on this trip, we were not as lucky; but that did not stop us from enjoying the magnificence we were blessed to be in the midst of. 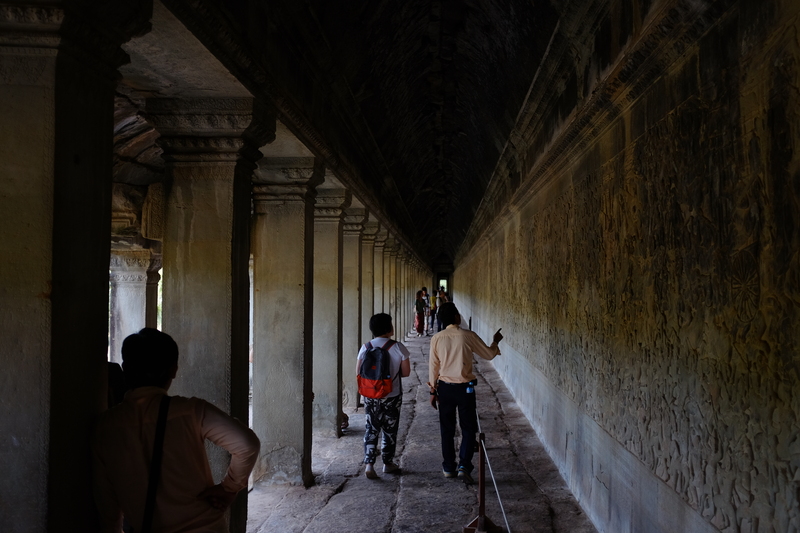 Do not go back to the hotel after sunrise like most tourists do, but instead..
Venturing into the main temple of Angkor Wat will always & forever be one of my favorite experiences to date. 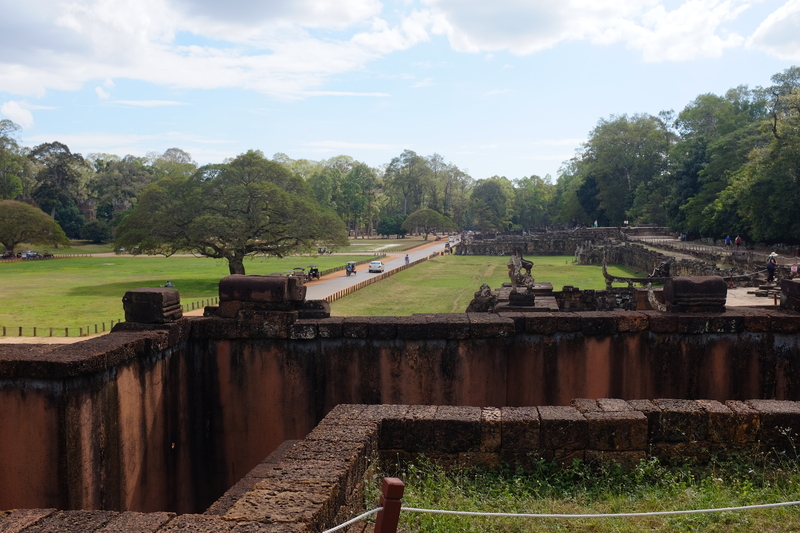 There is just something so magical about the biggest religious monument in the world, and Veasna’s stories give even more meaning to it. 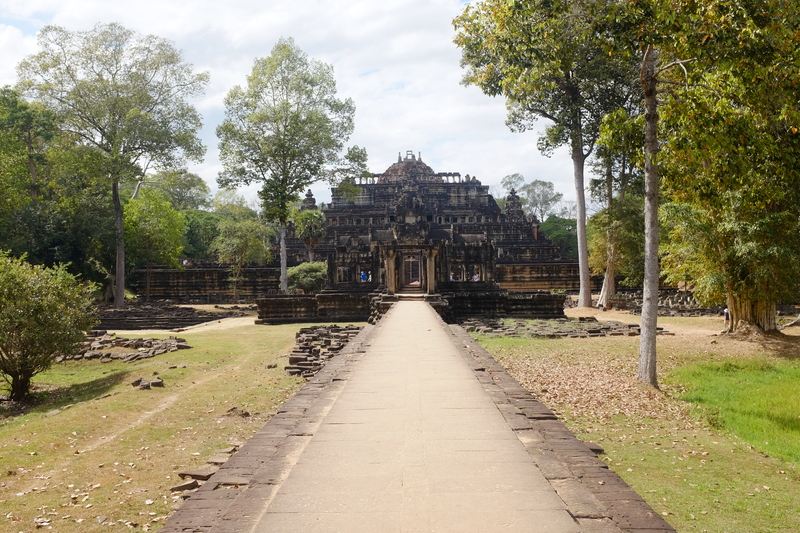 Beyond the main Angkor Wat temple, we were fortunate to see even more of the complex. 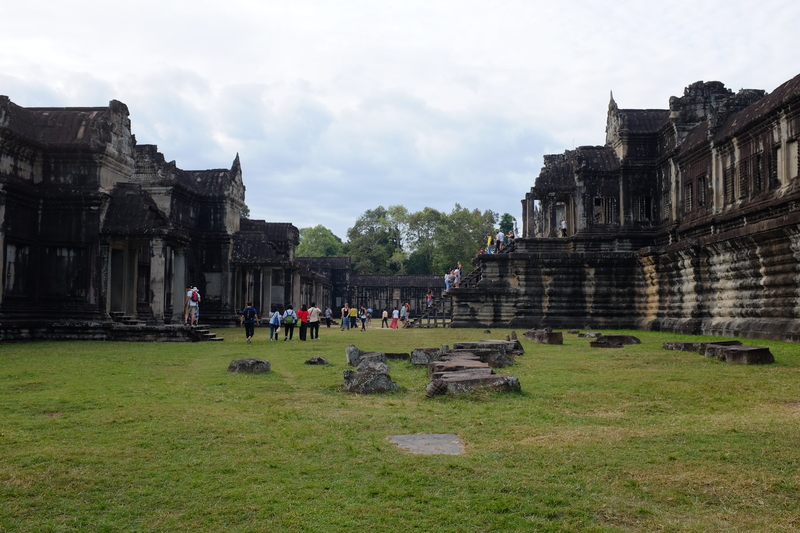 The temples and attractions within Angkor Wat listed below are all highly-recommended and must not be missed on your trip to the Kingdom of Wonder. 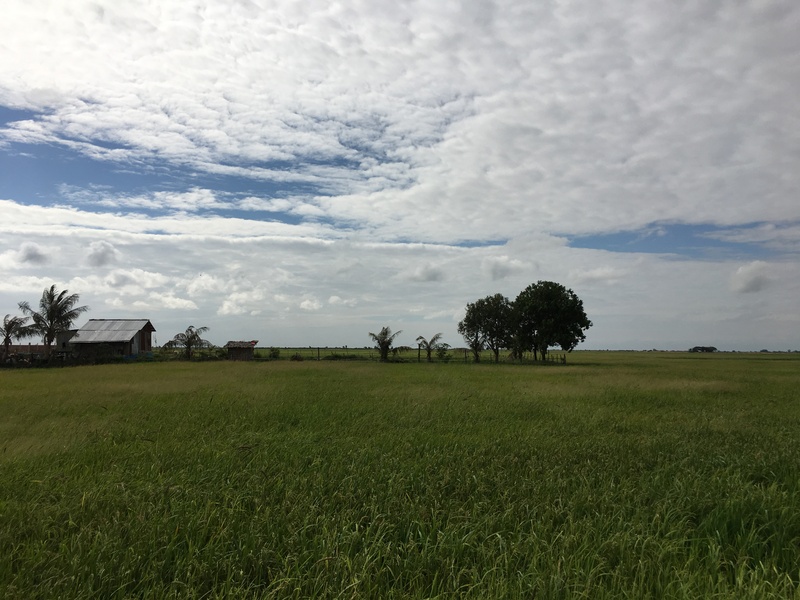 Simply looking at the photos will allow you to understand what I mean. 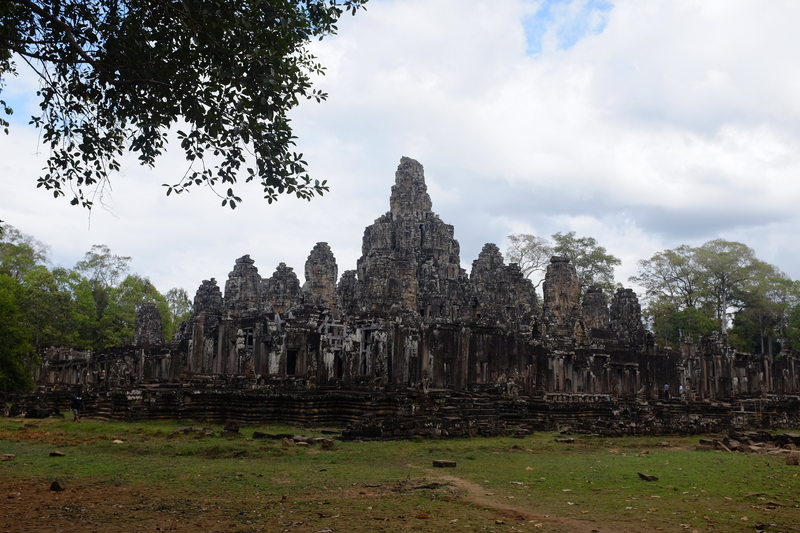 We ended the day tour in Bayon – the temple of smiling faces. 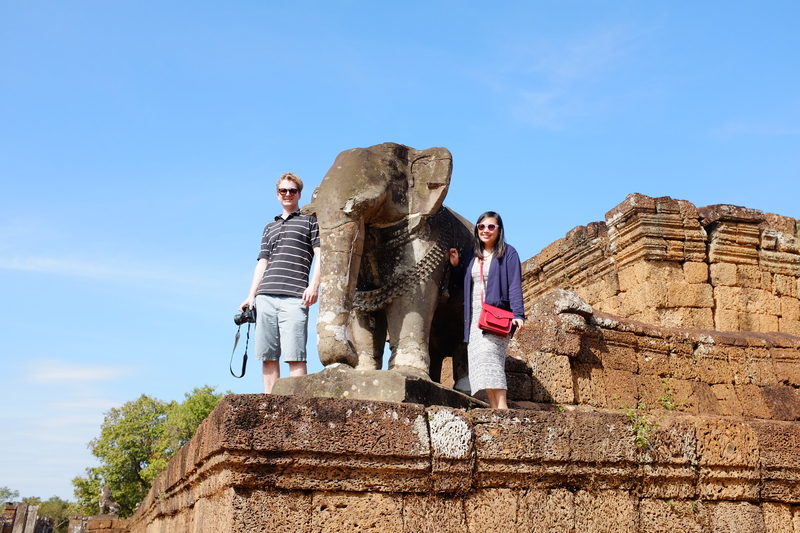 And how fitting it was, as we did end the day with the greatest of smiles – all thanks to the fantastic service of one of the best tour guides in the world: Veasna, and the most incredible sights this world has to offer. 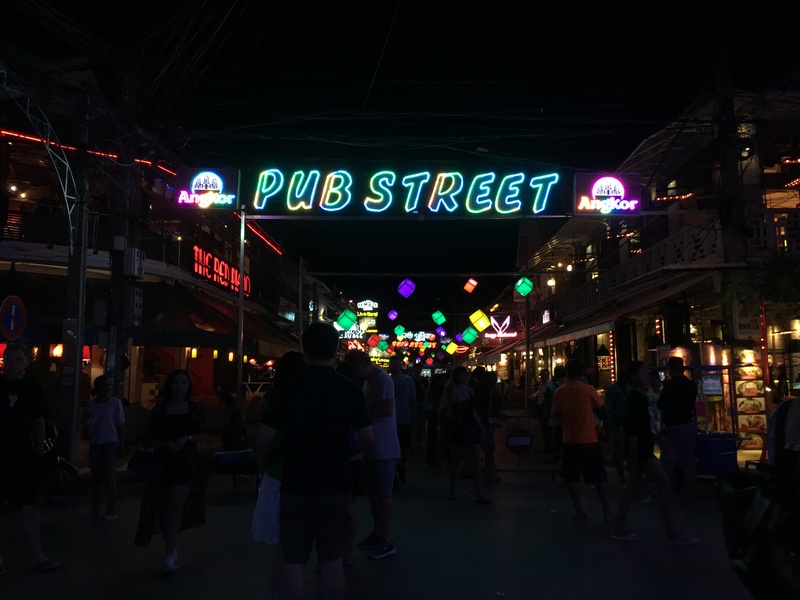 Later that night, we once again spent enjoy dinner & drinks in the midst of the lights and sounds of the dynamic Pub Street – one of the things I miss the most about Cambodia. 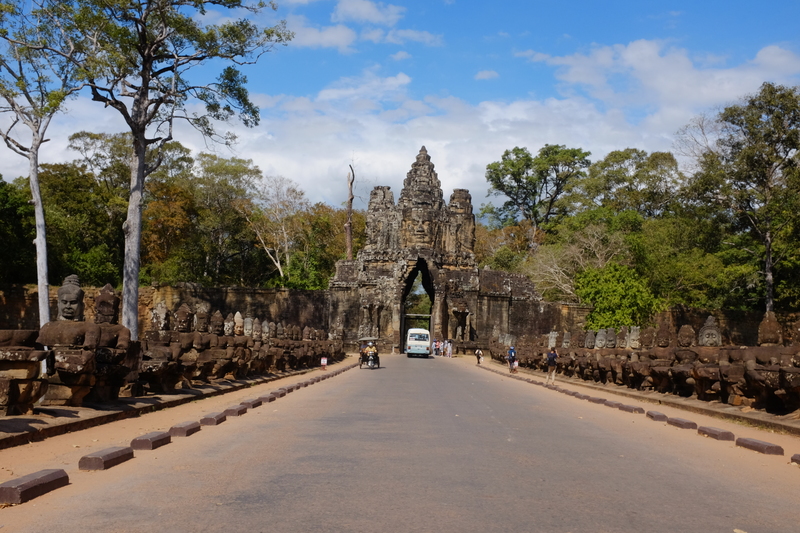 Our last day in Siem Reap began with pouring rain, and at some point, I was hesitant to continue on with our scheduled Cambodia Quad Bike Tour. 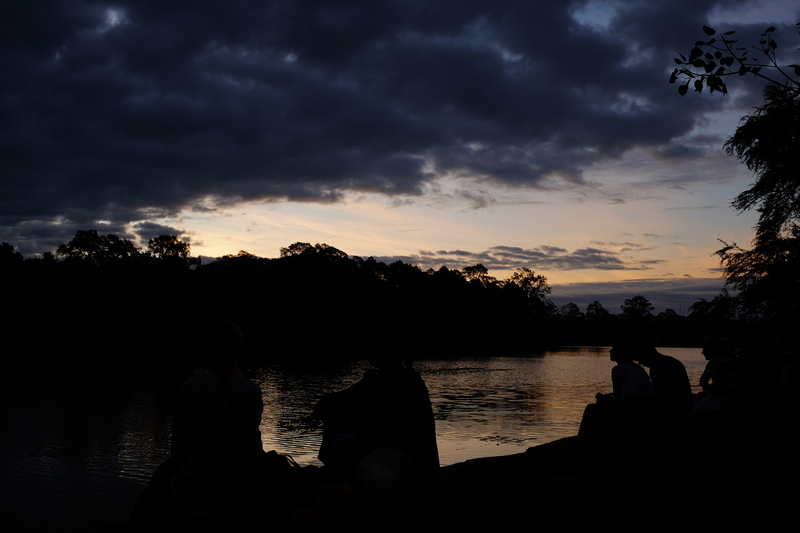 We were advised that we would start later than usual to wait for the rain to subside, and if we wanted to, we could cancel it. 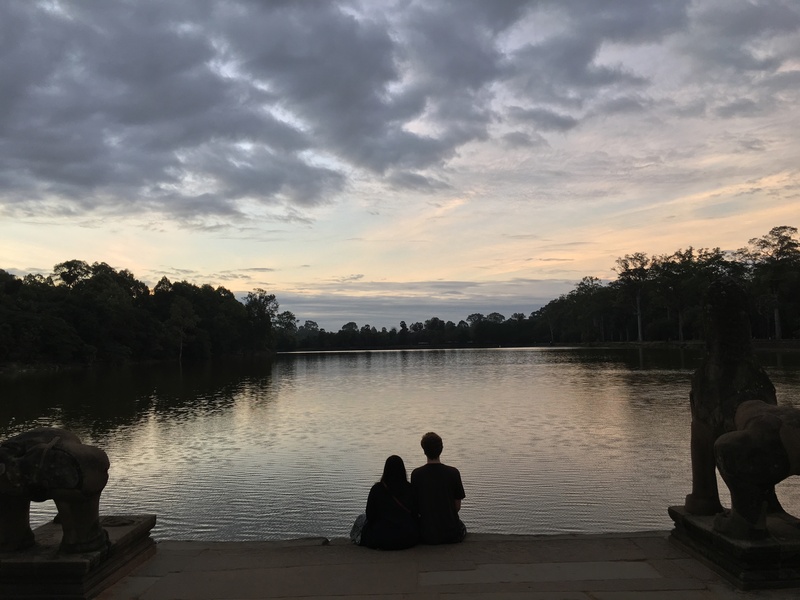 And even if I wanted to, we didn’t, which was the greatest thing ever. 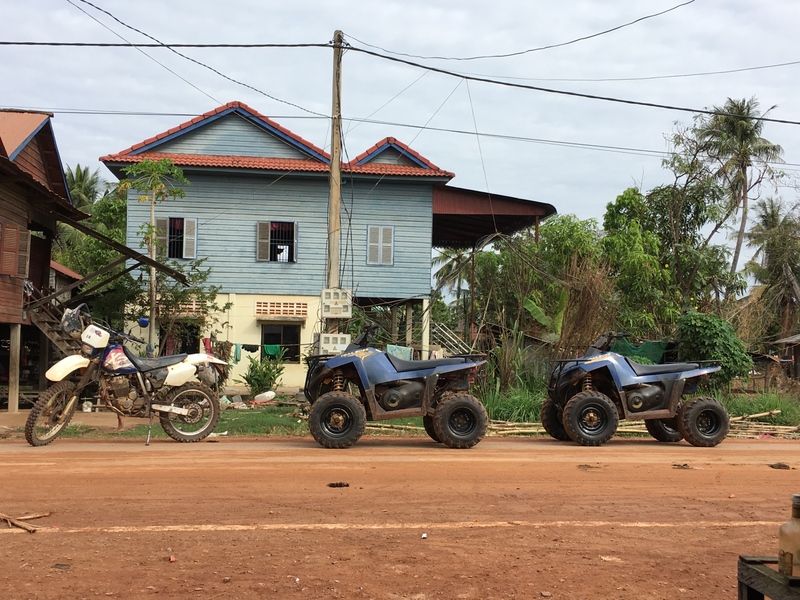 Doing the Cambodia Quad Bike tour was the highlight of this trip, as we gave out little food packs to kids in the provincial areas we drove past. Their smiles and gratitude endlessly filled our hearts. 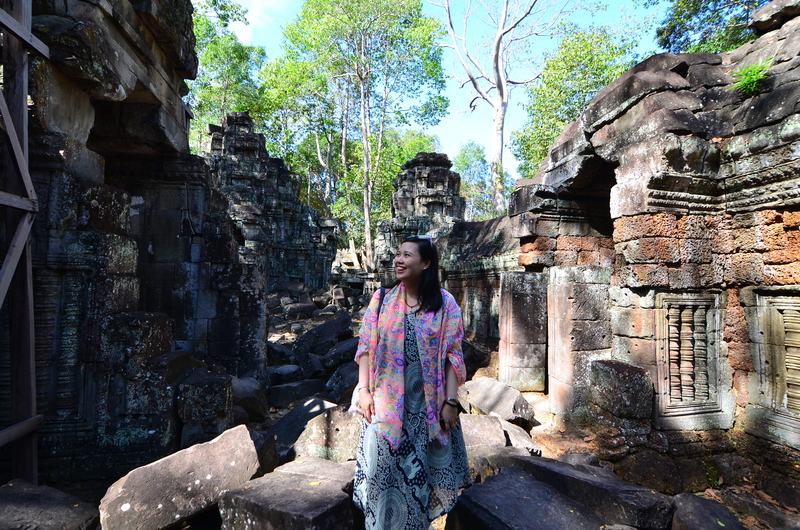 Going home with a pocketful of memories and hearts filled with love & gratitude to the great Kingdom of Cambodia and its marvelous people, most especially Veasna; it would be an understatement to say we made the most out of our short 4-Day trip to Siem Reap, Cambodia. 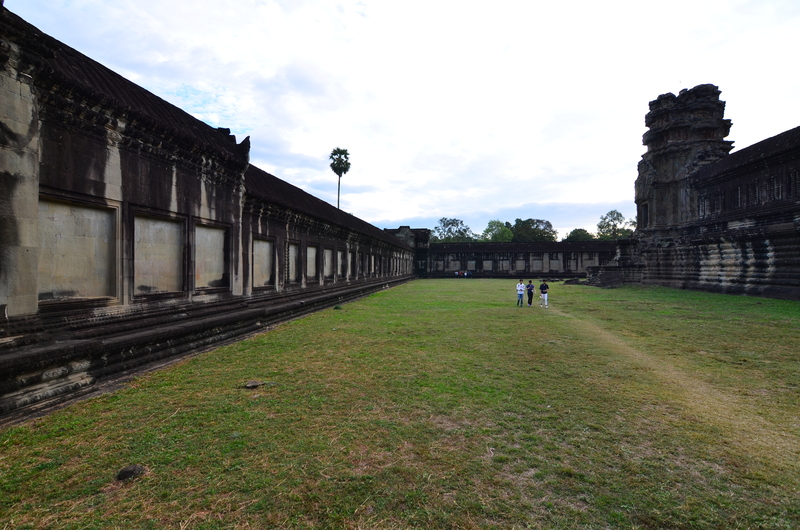 If you think that this might be short a time to enjoy a place this majestic, then you are right! 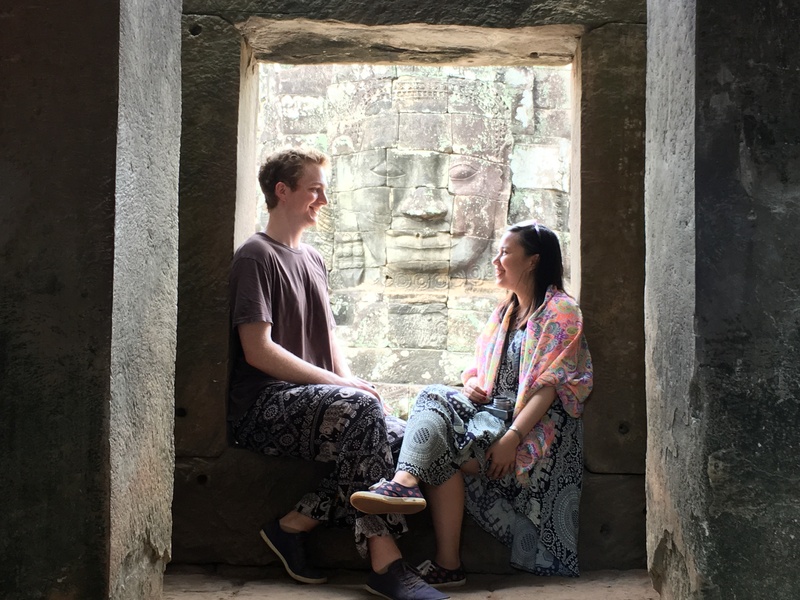 One trip, two trips, or even a trip for several weeks long will never be enough – take a taster and do a four-day trip like we did, and you’ll definitely keep on coming back, like I plan to do. 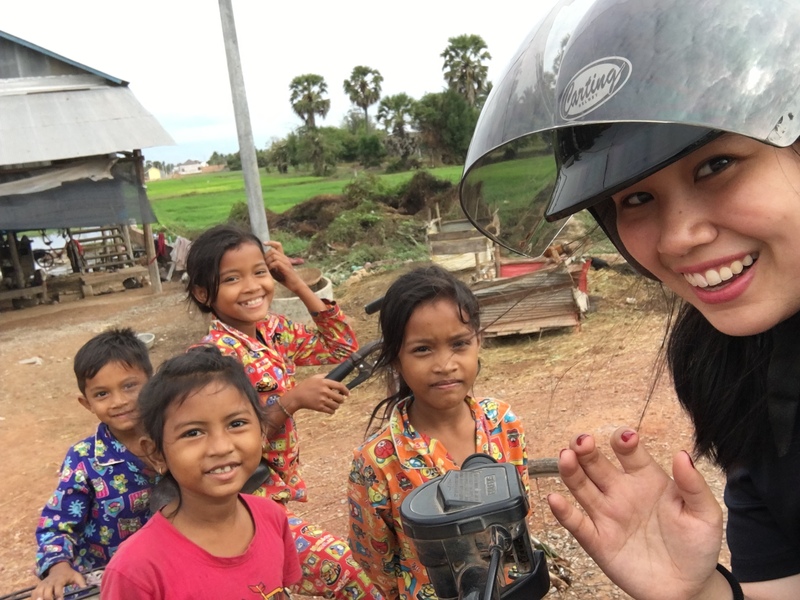 For inquiries about tours with Veasna or the Cambodia Quad Bike, please do email me at theworldbyfaith@gmail.com for more details.